Sweet children, the Father has come into the gathering of the iron age. This is a huge gathering. In this gathering you moths sacrifice yourselves to the Flame and become pure. What is the reason why, even now, the efforts of some children are as slow as an ant? Some children have the habit of sulking. They sulk with the Father and stop studying. Then, Maya catches hold of them by their nose or ears. This is why there is no progress in their effort; it remains at the pace of an ant. You children should have an interest in becoming a murlidhar (one who relates the murli). You have to listen to it and relate it to others. You have to show the results. The children who miss the murli and have no value for this study can never become fortunate. The Flame has ignited in the gathering of the moths. The Supreme Father, the Supreme Soul, Shiva, is also called the Flame. Many names have been given to Him, and so people have thereby become confused. Souls too are images of light. You are now becoming constantly ignited lights. The Flame has come into this huge gathering. This gathering is very large. Some come and belong to the Father. They belong to the Father and sacrifice themselves while alive. Once you renounce body consciousness you are dead to the world and the world is dead for you. Who are you? Souls. When souls leave their bodies, it is as though the whole world is dead for them. The Father now tells you: Consider yourself to be souls. We belong to the Father. You have to end the awareness of the body. When people die, they forget everything including their bodies. If they have left their bodies, all their connections are broken. Connections only exist while having a body. You remain bodiless even while in a body, because your connection is now with the Father. The Father has also adopted a body in order to teach you Raja Yoga. He has come into the gathering. Among you, a few understand this fully, some partially, and some don’t understand anything at all. The Father says: I have come into this creation. Only human beings will understand these things. The people of Bharat do know about the birthday of Shiva. Shiva is the Supreme Father, the Supreme Soul, the Father of all souls. He definitely comes because there are also temples to Shiva. Many temples have been built to Him. Just as there was only one Christ, and countless physical images of him have been created as memorial to him, so those are temples to the Supreme Father, the Supreme Soul, the One called the Purifier. This is now the gathering of the impure world and there will then be the gathering of the pure world. He does not come into the pure world. The gathering in the pure world will be a very small and happy one. This is why there is no need for Him to come there. He has to come into a large gathering. He is called the Purifier. This is the impure world and then there is also the pure world. There would surely be fewer people in that new world. You children do true service, numberwise, according to the effort you make. The proof of true service also becomes apparent. So the Father has come into the gathering. He is the Purifier of the impure. It is said: “Charity begins at home.” Bharat is the eternal birthplace of the eternal Father. People have forgotten when Shiv Baba came. He is called the Purifier and He enters an impure body. His praise is so great: Salutations to Shiva. Your praise is also limitless. How does He establish heaven, the heaven that is given limitless praise? Only you children know this and you are making effort to go to such a Paradise. However, your efforts seem to be very cold and at the pace of an ant. Maya continues to catch hold of some by their nose and some by their ears. She doesn’t leave anyone alone. You do realise that you should remember Shiv Baba constantly, just as a wife remembers her husband. This Baba is the Husband of all husbands. So, how much you should remember such a Baba! How much you should praise such a Baba! People sing so much praise of Shiv Baba in songs etc: Your praise is limitless. Why is so much praise sung of Him? There must be a reason for this. You know that the Father alone is the one who makes Bharat into heaven. He makes Bharat so elevated. Ravan then makes it degraded. The Father comes and makes you happy. He makes hell into heaven. No one knows that Father. The whole world is impure. Although there is happiness etc. in the Ashoka Hotel (hotel without sorrow), all of that is temporary. This kingdom is like a mirage. The happiness here is not even worth a penny. There is nothing but sorrow. In the golden age, the king, queen and subjects all remain very happy. Now they are all very unhappy. People take so many bribes. People commit so many sins. Bharat was the community of deities. You now know that the praise of Bharat was very great. People also sing praise of God. They remember Him but they do not know Him. Oh! but since you speak of God, you should know His full name. His name is Shiva. All the praise belongs to Him. People do not know His name, form, land or time. They say that He doesn’t have a name or form. They say that the Supreme Father, the Supreme Soul, lives in the supreme abode. They even speak of His name, form and land, but, because of being body conscious, they do not remember Him. Even if they do remember Him, it is without any understanding. They sing: You are the Mother and Father. You can explain that they have physical mothers and fathers. So, which Mother and Father are they referring to in that song? Only you understand how the Father creates the world, how He creates the mouth-born children and how He gives them their fortune of the kingdom. Only you know this; no one else knows it, but you are also numberwise in this. You understand that Shiv Baba comes and teaches you through the body of Brahma. There is such great praise of Shiv Baba alone. He teaches us Raja Yoga through Brahma and makes us into the masters of heaven. It is surely Saraswati and Brahma who will first become Lakshmi and Narayan. The World Mother and the World Father are sitting here; it is they who will become the masters of the world. There are also kumars and kumaris with them. This Dilwala Temple has been built so beautifully. Those temples etc. were built earlier. We are now able to compare ourselves with them because those temples are our complete memorials. You should definitely keep the song ‘Salutations to Shiva’. You should keep two to four first-class songs. This Baba tells you his experience: Although my heart wants to eat in remembrance of Baba, I forget. That One says: I am beyond experiencing anything. It doesn’t occur to Him whether something is good or bad. The Father says: I only come in order to make you children pure from impure because Ravan has conquered you. You now have to gain victory over him again. Ravan makes you like shells and bankrupts you. Bharat is now bankrupt and I am now making you solvent. It is the intellects of human beings that become insolvent. So this song: “Salutations to Shiva” is very good. His praise is number one. There is also the praise of Bharat. Bharat was wonderful . They also sing: Bharat was heaven and there were palaces of gold and diamonds there. So where did they go? How did Maya enter you? In the golden age, the religion and the actions of the deities were elevated. Maya, who inspires you to do corrupt things, doesn’t exist there. You will reap your reward there for the effort you make here. There is no question there of anything causing you sorrow and there is no need to commit sin. Here, people commit so many sins for the sake of money. There, you have a great deal of wealth. It is an unlimited kingdom. It is sung that Bharat was the land of divine kings. When there was the land of divine kings, the religion of the deities was elevated. The Father has come and is creating the elevated deity religion. You understand that you are becoming elevated and that you mustn’t do anything sinful. There should be fear of committing sin. Maya catches hold of very good children by the nose and makes them commit sin. You know that the Father has now come into this gathering and that He creates the mouth-born children and makes them elevated. He definitely has to take a body on loan. He says: I enter an ordinary body. This one doesn’t know his own births, and so I tell him. I have given him the name Brahma. I only enter Brahma, because I have to carry out establishment through Brahma. It is not that I enter a Buddhist, a Muslim or a Sikh. The Father says: I have to enter the body of the one who was the sun-dynasty Shri Narayan at the beginning and I make him that again. He does not know his own births. This is the path of knowledge. It is the Father who gives this knowledge. Then there will be no trace or mention of the path of devotion. It is said: The path of knowledge and the path of devotion. For half a cycle there is devotional activity and for half a cycle there is the activity of knowledge. It is also fixed in the drama for everyone to become impure. Very good secrets are being revealed to you children. It is remembered that God comes and takes the devotees back with Him. They remember the Supreme Father, the Supreme Soul: Baba, come and free us from the chains of Maya! Liberate us! He liberates all your friends and relatives. There, you souls will have divine mothers and fathers. You will become deities. All of you souls will also become pure. You souls are now impure and are becoming pure again. On the path of devotion there are all sorts of images of those who have no occupation. It is as though they worship dolls. I am neither a male doll nor a female doll. I am incorporeal anyway. Human beings are male and female dolls; I do not become that. I am known as the incorporeal One. You male and female dolls are very unhappy now. When you were in Paradise, you were very happy. The praise of that happiness is limitless, but some children repeatedly forget this and start sulking. Many of the Brahmins also sulk. By sulking, they abandon their inheritance. Ah! but you have to claim your inheritance from the Father. This study is that of the imperishable jewels of knowledge. Baba has explained very clearly. 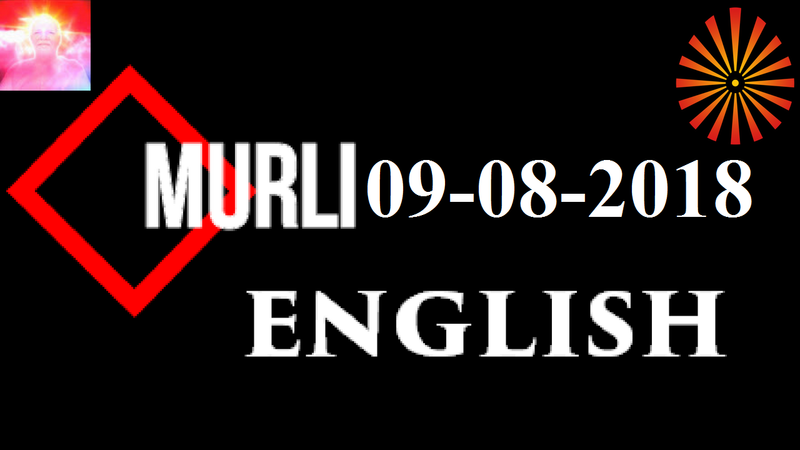 If you cannot go to a centre, you can at least ask for the murlis to be sent to you and read them. There is no harm in that. However, you have to make effort to do service and give the proof of it. 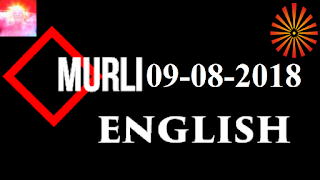 If there is no proof of service, what would be achieved by sending you murlis? Murlis are studied for knowledge to be imbibed. If you listen to it through one ear and let it out of the other, what can be done? Some do not even remember Baba. When anyone commits a sin, the intellect becomes locked. The Father doesn’t do anything. The Father simply explains: You have to become very sweet. You must not cause sorrow for anyone. At the end, you children will become very sweet, like the Father. However, you have to make effort. Ask your heart: Do I trouble anyone? Is anyone upset with me? Those outside will become very upset. You, the decoration of the Brahmin clan, definitely have to listen to the murli every day. If you do not listen to the murli, how would you imbibe it? If you do not listen to the murli you are considered to be unfortunate. You should never stop listening to the murli. Brahmin teachers also receive Shiv Baba’s murli, and so you have to stay in connection with them. You can receive the murli directly, but you also have to make others similar to yourself and give the proof of that. Continue to remember the Father and continue to remind others of the Father. Give your news to the Father so that He knows. Otherwise, how could it be known that you’re doing the Father’s service? Proof of service is definitely needed. You need to have an interest in becoming a murlidhar. The tape recorders also become murlidhars; they are able to relate the murli accurately. You cannot do that. So, what should you do? In order to benefit others, you could give them a tape recording machine. If many people listen to the tape recorder, the one who gave it will receive a lot of fruit. However, only those who understand the significance of this will buy one and give it to them. You can claim a royal status by listening to the murli. Would you become the masters of heaven by listening to the lectures of others? You would not be able to become deities from ordinary human beings. By your giving this first-class donation, many can receive benefit for 21 births. To purchase a tape recorder and donate it or to purchase a building and donate it is very good service. It is the children who would sit and do service. The building would remain yours, but you would receive the fruit of its use. In return for that, you will receive huge palaces there. The time will come when you children will be offered many buildings and people will continually bow down at your feet. What would we do with those buildings then? We simply want to do service. Why should we accept a building and then have to spend money on it? This Businessman is clever. He is such a sensible Businessman. Achcha. To the sweetest, beloved, long-lost and now-found children, the lucky stars of knowledge,love, remembrance and good morning from the Mother, the Father, BapDada.The spiritual Father says Namaste to the spiritual children. 1. While remaining in the body, break your connections with everyone and make effort to become bodiless. Make your intellect forget everything of the world. 2. Make effort and give the proof of your service. Listen to the murli and also study it so that you can imbibe it. You mustn’t allow it to go in one ear and out of the other. May you go fast in service and claim a first number with the speciality of being a humble instrument and thereby become an embodiment of success. While moving forward in service, if you are aware of the speciality of being a humble instrument, you will then become an embodiment of success. Just as you are clever in running around for service, in the same way, become clever in these two specialities and you will go fast in service and come first by doing this. Do service while staying within the line of the codes of conduct of Brahmin life and considering yourself to be a spiritual server and you will become an embodiment of success. You will not have to labour. Those who constantly imbibe jewels of knowledge with their intellects are true holy swans.